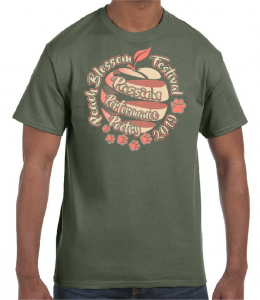 The 2019 Peach Blossom Festival T-Shirt design is now available! Pre-order by February 25 to get your shirts in time to wear them at the festival, and to guarantee your size! The deadline to pre-order t-shirts for the 2019 festival is February 25.